1. Use repetition to reinforce new concepts and help mastery. Repetition is a valuable tool in helping AS/ODD kids learn. Many kids willingly watch an enjoyable video over and over. Each time, new information is processed, and memories are made. AS/ODD kids learn best when concepts are reiterated (e.g., repetition can be accomplished through using the same set of math flashcards over and over). Sometimes, however, the information can be repeated while the format of presentation changes (e.g., the same math facts can be reinforced by using counting sticks instead of flashcards). Repetition occurs when the process is replicated and when the same information is illustrated in a new process. 2. Remain consistent in use of teaching techniques, discipline and rewards. 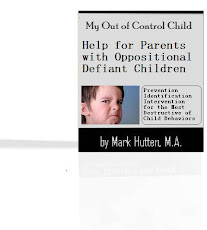 AS/ODD kids often have tantrums when they don’t get what they want or can’t express what they are feeling or needing. Helping these youngsters to communicate their needs, and then empowering them to learn to self-regulate, should be a part of every effective teaching technique. When verbal communication of emotions is unsuccessful, world pictures can often help. When AS/ODD youngsters show early signs of having a meltdown, show them pictures of normal daily activities (e.g., eating, going to the restroom, playing with a peer, reading a book, etc.). Ask them to point to the picture that shows what they need. If they don’t respond to any of the pictures, chances are they are simply upset because of not getting their way. A “special needs” youngster needs an adult to model appropriate limits. 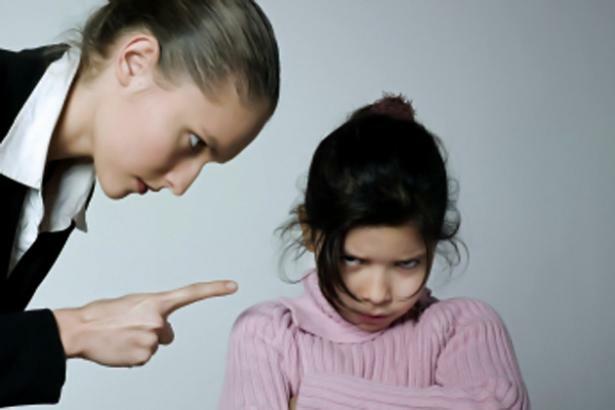 Consistent discipline for misbehavior is just as important as rewards for good behavior. 3. Many AS/ODD kids struggle with expressing themselves. They often excel at creative activities like drawing, painting, and sculpting with clay. These mediums can be used as effective teaching techniques to help these youngsters create a “pictorial concept.” These images allow them to use their strengths to help them communicate and connect to the world around them in a meaningful way. AS/ODD kids will often have difficulty expressing emotions, but their drawings may reveal latent emotions. Drawings can also be used to help these kids tell stories about their daily lives. When the youngster repeatedly draws the same type of picture or uses the same color over and over, he or she may be attempting to reveal something about his or her world. Many psychologists and therapists are trained to communicate with kids who can’t express their emotions, but have learned to do so through the use of art. 4. Develop and maintain a structured learning environment. Even high-functioning AS/ODD kids struggle with self-control and boundaries when overly-stimulated. The most effective teaching techniques are those that provide a highly-structured environment that remains constant so that only the concept or behavior being introduced is new. For example, an organized work station should remain clutter-free with concrete guidelines for where to sit, store supplies, hang up coats, or take a time-out when feeling anxious or angry. Clear expectations provide AS/ODD children the freedom to obey limits without needing to be prompted. 5. Combine visual, tactile and auditory cues to facilitate learning. Auditory learning is the least effective sensory tool for an AS/ODD youngster. However, it can be combined with visual and tactile clues that will make the meaning clearer and help a “concrete thinker” learn to associate emotional expression with word pictures. For example, in working with emotions, educators can begin to teach the youngster what “anxious” means by drawing an anxious face on a piece of paper. However, the youngster may not have a sense of anxiety occurring in real life outside of the drawing. Next, teachers can build on the meaning of this emotion by arranging their own features to look anxious. If teachers invite the AS/ODD youngster to trace around their facial expression with her fingers, she may begin to understand that teachers could feel anxious. The next step is to help the youngster arrange her own features to reflect personal feelings of anxiety. Roll play is often the last step in helping a youngster experience what it is like to be anxious. Add an empathetic gesture (e.g., a light touch on her shoulder), and you are modeling empathy for someone who is feeling anxious. The combination of visual and tactile clues all help the youngster understand that the drawing, the teacher’s face, her face, and elements of the roll play all represent what it means to be anxious and to care about the feelings of others. Teaching techniques for an AS/ODD youngster should not focus on the limitations that the youngster experiences. Even AS/ODD youngsters are often exceptional in other ways. The most successful strategies for learning first discover the youngster’s best sensory portal, and then incorporate her giftedness as a vehicle for self-expression against the backdrop of a structured and consistent learning environment.